App designing is a process that requires a systematic approach and fine execution of tool and techniques to build an app that stands with strength. But as simple as it may sound, it is not the way. There are many steps in designing an app apart from the visual aspect. There is a mix of plugins, tools, and online resources that have come out as an integral part of mobile app development. In order that your work is carried out fully fledged for app designing and the final output is unbeatable in design ,we have figured out some important tools that every mobile app designer requires in the stride of designing a mobile app right from workflows, screens, pitches and more. For fully interactive prototypes try this amazing tool called Invision. It is a collaboration, prototyping and workflow tool that quickly transforms static designs into vivid prototypes. Here the prototypes are gestures, transitions and animations for responsive webs of iOS, Android and Windows. 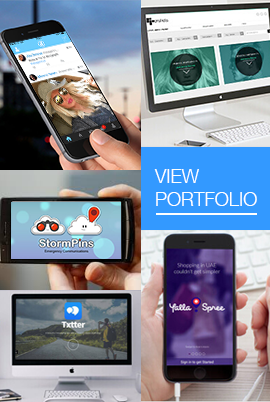 It is a free prototyping tool that makes a real-time collaboration for mobile and the web. It is simply done by direct commenting on threaded conversations and designs. It is not a complicated tool and so is easily accessible. It is an Uber cool tool for designers and let them update screens as well as helps in retaining button interactions from the previous screen. Among Adobe’s pool of creative tools, the one that aids designers immaculately is Adobe Comet. The live preview of design on connected devices, prototype link sharing and easy imports from other genuine Adobe products like Photoshop and illustrator, makes it widely usable by app designers in mobile app development. It is one well appraised wireframing and prototyping web tool. It possesses easy to use features and built-in components that let a designer collaborate, design and present fully interactive wireframe and prototypes. UXPin is responsible for simplifying the workflow as well as preserve all the design layers with its easy drag and drop integration with Photoshop and Sketch. The usability is also built in and helps you create a task, record users and clicks, taking into account the result presentation to the team. In a nutshell, UXPin does a major task of speeding up your design, testing and rollout cycles. Any avid designer would always be switched to Photoshop for the major tasks but here come Sketch that takes the designing world to a new level. More intended to UI/UX design, this tool is more or less like Photoshop. It creates brilliant results with a huge set of tools. With features like infinite zooming, two times export and styled vector shapes, the options are wide and help in high design resolution. The more interesting feature it accounts to is – it has an “Export All” feature and being vector based, it is responsible for exporting JPG, PNG and PDF. As seen this tool is integrated with multiple tools efficiency and features. It means less task and more results and of course more productivity. Talking about another app designing tool that is a simple drag and drop web tool and does the work for generating realistic screenshots in seconds is PlaceIt. For the purpose of displaying your app design to the client in a more enchanting and spiceful way, you may look for PlacIt for its commendable functions. More to it, this is one tool that makes your app design come out to reality in a more beautiful manner. It supports iOS, Android and Microsoft screenshots. In designing accuracy takes on everything and therefore Skala Preview is here to help. It let designers view size and colour and accurate image previews on both iOS and Android device. The most outstanding feature that impresses designers about Skala Preview is how wonderfully it allows designers to preview canvases as they edit. By setting the remote connection, every single change on the canvas is instantly updated. So, use Skala Preview for better texts, fonts, colour testing, contrast and other ergonomics. In designing slicing process may take time and any tool that can accelerate the process is definitely worth taking a look. Talking about Slicy, it is a Mac app that can export assets like png, jpg, etc from a Photoshop PSD file. It provides the high convenience of dragging and dropping your Photoshop file on the Slicy window just after you have launched the app that makes the exporting visual assets out of your PSDs literally painless. That’s that, Slicy is a tool adding to the benefit for designers in iOS workflow using Photoshop. The only thing to be told to Slicy, is which layers or layer exports need to be exported. There are certain tools that help in simplifying the tedious task of designing with a more convenience. Here is Zeplin that eases the much complicated process of preparing design specs. After the project is uploaded, all the specs are automatically provided. Designers can also scale up their design assets using this tool that in turn saves the time of the designers and they can look on other projects. If designers are already using a slack platform as a mobile app design tool, then Zeplin project can easily collaborate for better results. For easy font identification for different websites, here is a free plugin called FrontFace Ninja. Being a very easy to use plugin it has inspired people and designers to curate brilliant design for mobile apps. In mobile app development, this free tool explored newly unearthed fonts. Another crispy treat for a mobile app developer is it hides all the images and commercials so that designer can solely focus on the fonts. Isn’t it brilliant? Simply add the plugin to your browser and once you click the extension icon, just drag the mouse on the font being used on any website. And here you go a new pop-up window with the font name, point size, and line spacing. Without a drop of surprise, illustrator and photoshop are widely used by a mobile app developer for major creations. After gaining a humongous response from designers across the globe, Photoshop is being used by designers for mobile app development and creating interface visuals. Photoshop is a pixel-based bitmap that lends itself to more interactive screen interface design. On the other hand, the illustrator is vector based and performs infinite element resizing without any visible quality loss. So, no compromise!! Designers can create logos and icons with illustrator without any unrestricted manipulation, indeed a more viable option. App development on your own is more riveting as far as you are making use of tools that brings in more benefits and saves your TIME. Don’t forget, TIME is MONEY! !